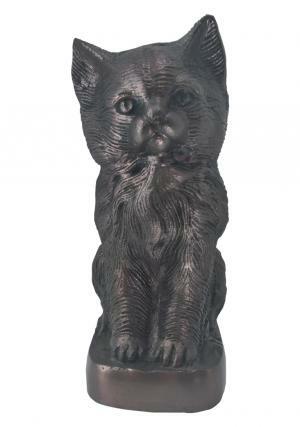 Precious Kitty Aluminium Pet Copper Engraved Cremation Urn ashes is beautifully hand engraved sitting cat pet urn made of solid aluminium from skilled professionals and intricately designed in copper finish. 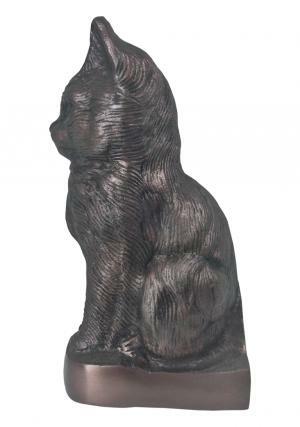 Sitting Copper engraved aluminium pet ashes urn has felt aluminium and copper coated lined base decorated with bottom opening which acts as a secured seal to preserve ashes of the lovable pet. 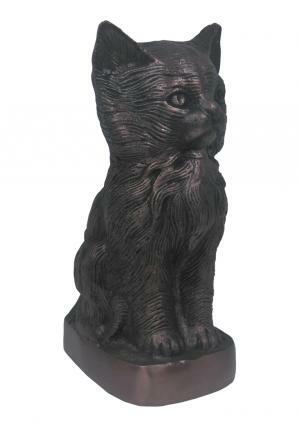 The cat ashes urn made of aluminium coated in copper measures to stand 7.7 inch tall, 3.94 inch width and weighs 0.83 kg (empty). 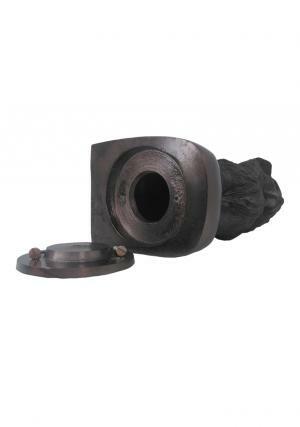 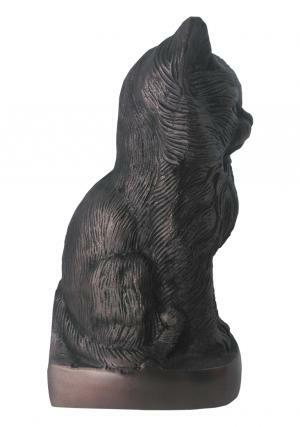 The Pet Precious Kitty Aluminium funeral urn is capable of storing an ashes volume space of 25 cubic inch ashes.